It is the world’s most widely planted red grape varietal, and it’s not Cabernet Sauvignon or Shiraz … it’s Grenache. Prominent in Spain and the south of France, Grenache may not be as well known as Cabernet, but that is probably due to the fact that it is commonly not found on labels and it is often known by its various aliases. Grenache may be best known as a major component in the wines of the southern Rhône Valley. Châteauneuf-du-Pape, Côtes du Rhône, Gigondas and the famous rosés of Tavel all benefit from Grenache’s elegance, spice and bright berry flavours. Even in the New World, it can be found blended with its traditional southern French partners, Syrah and Mourvèdre, but while the varietals may appear on the label of wines produced in the USA and Australia, they are often hidden behind the “GSM” moniker. Grenache figures prominently in Sardinia, where it is known as Cannonau. But its home is Spain where it is referred to as Garnacha. The versatility of Grenache may also be the reason for its relative low profile. It can range in style from light and fruity to bold, deep and intense. It can be found in soft, inexpensive quaffers as well as more pricey wines suitable for long-term cellaring. The grape tends to do well in warm regions as it is relatively late ripening. The south of France, Sardinia, Priorat and Barossa Valley all provide the perfect conditions for Grenache to perform at its best. Its plantings in California are quite extensive, but it seems the Rhône Rangers (California producers who have focused on and raised the profile of southern French varietals grown in the sunshine state) have historically placed a greater importance on Syrah and Mourvèdre. The recent buzz among California wine professionals and journalists seems to be that California Grenache may be ready to take a leading role as opposed to its traditional supporting position. There is no question that wine consumers have enjoyed Grenache for years, whether they have known it or not. Maybe it’s finally time this widely planted varietal gets the attention it deserves. Fresh aromas and flavours of cherries and strawberries; a mouth-filling texture and wonderful underlying structure, bright acidity and a dry but approachable finish. Great balance, which makes it extremely delicious on its own, but really stands out when paired with everything from Asian cuisine to roast lamb to salmon and shellfish. Approachable yet chewy, with loads of black cherry, blackberry and black pepper and hints of plum and blackberry. Full but elegant tannins with a long finish. Truly one of the world’s great wine values. Bright aromas of cherry, Christmas spice, liquorice and tobacco with penetrating flavours of cherries and spice. Elegant, with great acidity and a deceiving backbone, allowing the wine to pair with pretty much anything. Not heavy, but with loads of flavour. Versatile and full of character. Buy it by the case! Powerful and focused with lots of red cherry, raspberry and redcurrant flavours and hints of spice and tobacco. A nice mineral quality adds a refreshing quality, even though the finish is dry and structured. 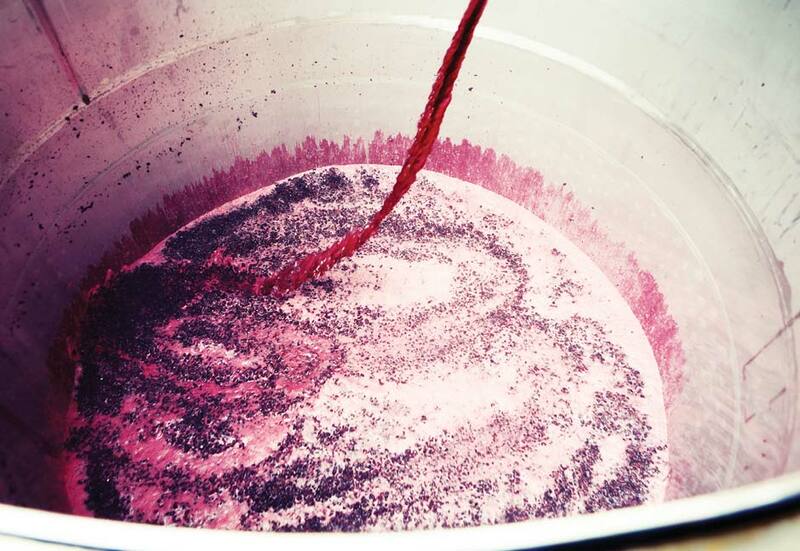 Not your teenager’s pink wine. A blend of Grenache, Syrah, Cinsault and Clairette. Intense aromas and flavours of dark raspberry, cocoa, fig and toasted exotic spices with chewy tannins, a velvety texture and a lasting finish. Well integrated and nice balance with a modern touch. This silky wine offers ripe, juicy flavours of black cherry, blackberry and plum, complemented by accents of toast, mineral, herbs and spice. Good density, yet remains lively through the toasty, balanced and vibrant finish. Fresh with lively plum, fig and liquorice notes that open considerably as they sit in the glass. Backed by sweet spice, tobacco, roasted wood and gamey notes on the edgy finish. Needs cassoulet and charcuterie. A blend of Grenache, Syrah, Mourvèdre and Cinsault. Rich and elegant, with aromas and flavours of cherry, blueberry, spice and a touch of earthiness. Complex and nicely rounded, with soft tannins and a pretty finish.